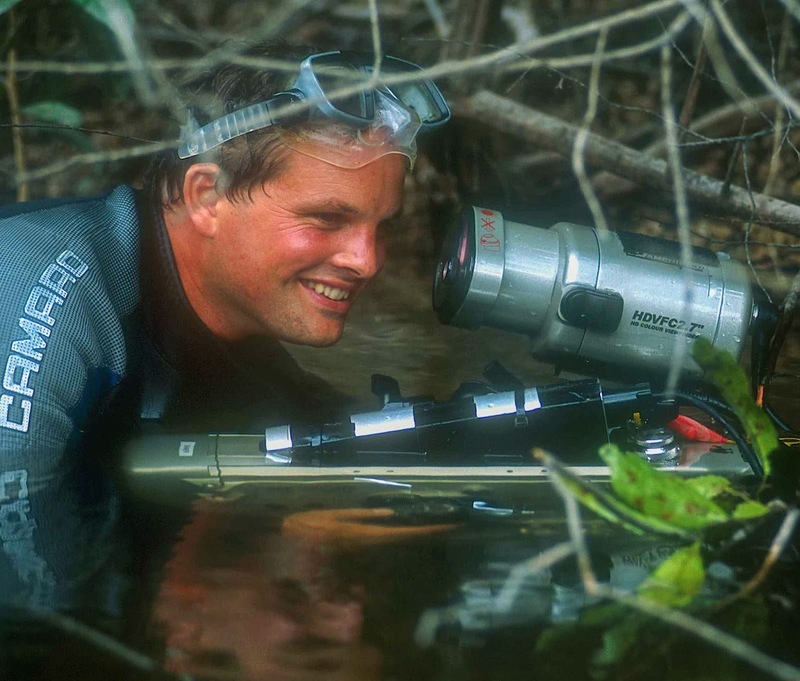 Our cruises are hosted by seasoned naturalist Roger Risley, who provides excellent commentary on the natural history of the island and the wildlife sighted. Join us on a cruise! Since 1994, when the PTMSC started collaborating with PS Express, guests have been enjoying this great opportunity right in our own back yard. The cruises not only feature a comfortable boat, but also expert onboard commentary and the chance to better understand our local environment. 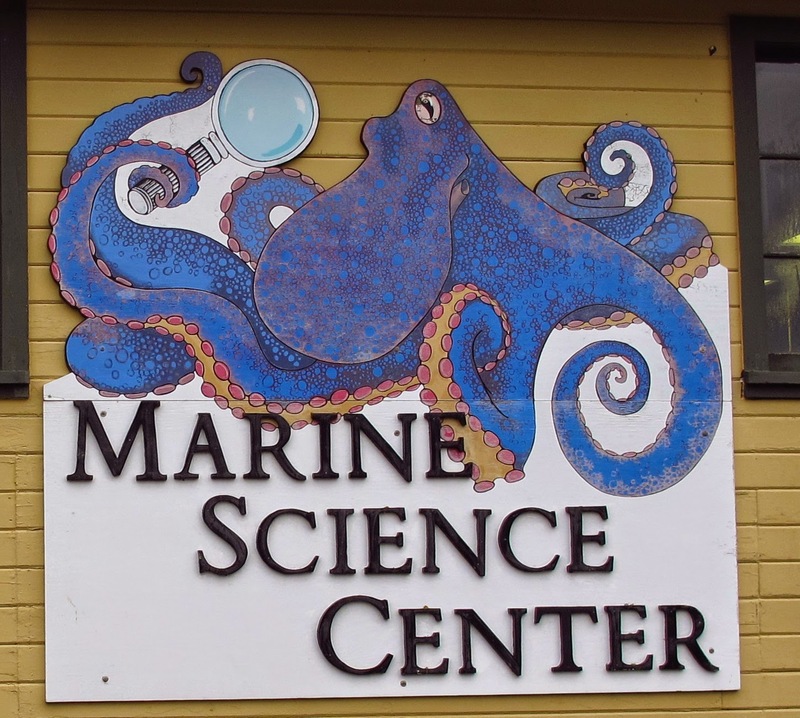 On Nov. 11th, the Jefferson County Community Foundation's Fund for Women and Girls awarded the Port Townsend Marine Science Center a $4000.00 grant for a project Titled "The TEENS project: Teens Envisioning & Engineering New Solutions." The project seeks to prepare and empower young women to be the next generation of change makers. Teen girls from middle and high school will explore public health and environmental challenges facing their communities and work together to create solutions utilizing the fields of science, technology, and math (STEM). Come see what's new in our Natural History Exhibit! Just in time for our currently running workshop series "Be A Toxic Free Zone," we've completed the installation of a new exhibit panel. The interactive display invites you to explore how the choices you make in your own home can positively affect the health of the ocean. Allison, Phil and Jean hard at work installing the new panel. We have already had great conversations with visitors about changes they can make to ensure their homes and waterways are free of toxics. Stop by and see the latest addition to our exhibit! The panel is a hit! 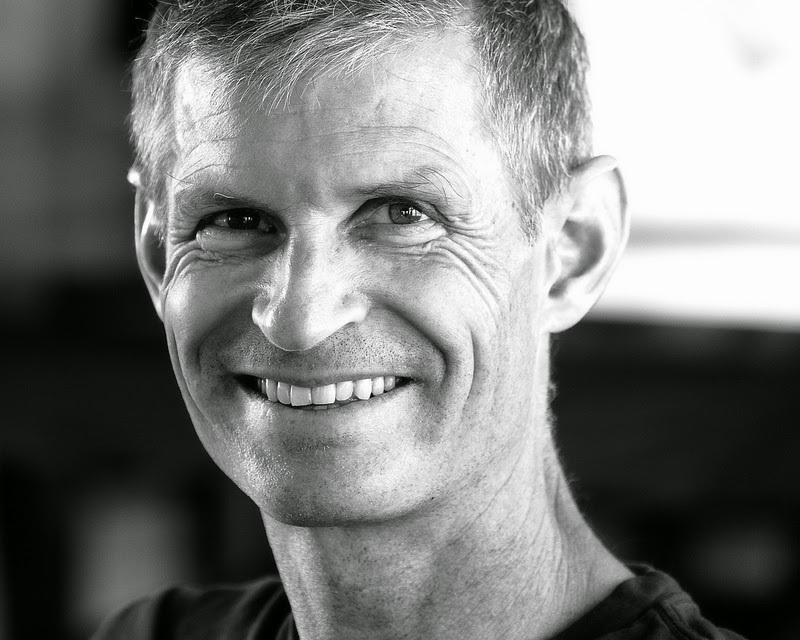 November’s lecturer, Parker MacCready, is Professor of Oceanography in the University of Washington’s College of the Environment. 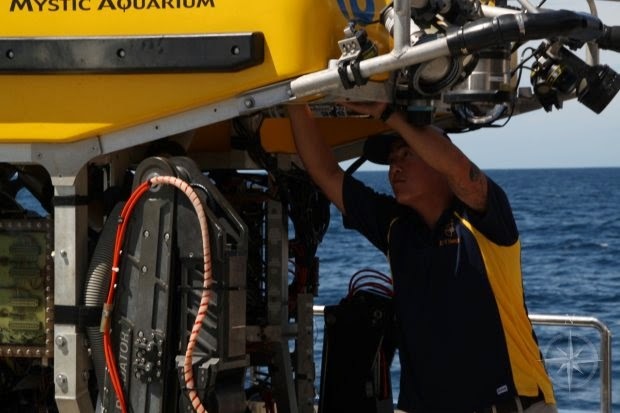 He has worked for the past 15 years studying tidal currents and general circulation of Pacific Ocean waters, including a number of projects in Puget Sound and the San Juans. 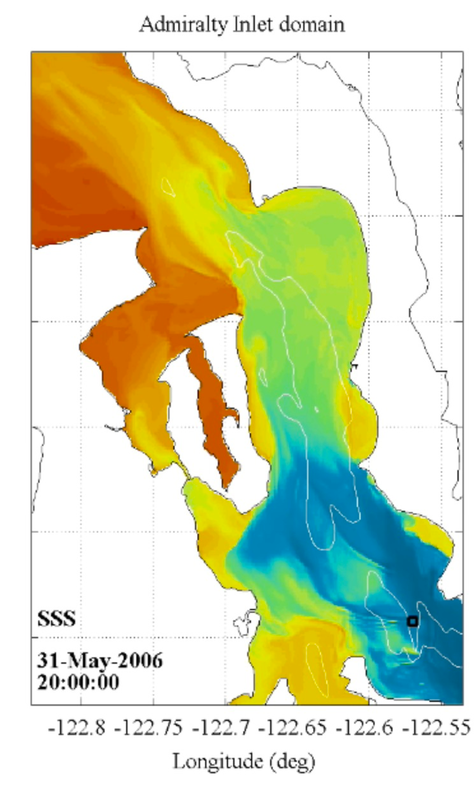 His work combines detailed field studies with realistic computer models, trying to discover the processes that turn the energy of tides, winds, and rivers into the circulation patterns that control the biological productivity of the Puget Sound estuary. 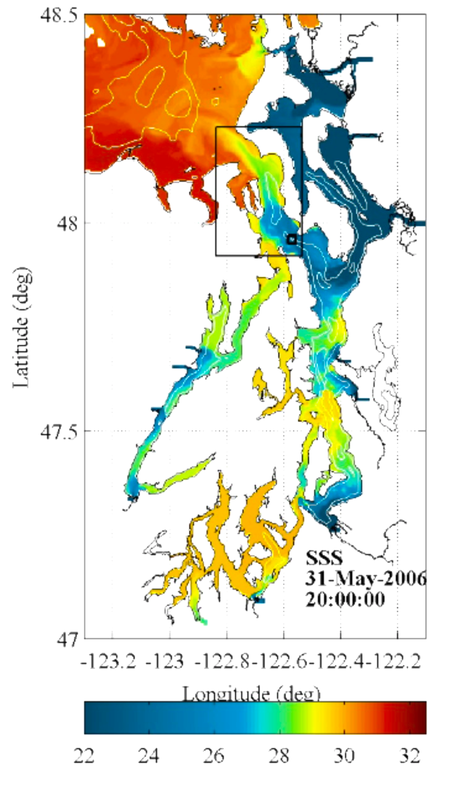 In this talk he will explore the tides in Puget Sound, from their astronomical origin to the the extraordinary fronts and eddies so apparent to boaters. This then leads to consideration of the turbulent mixing these eddies cause, and how they drive a large, persistent current of deep Pacific water though the Sound. It is this circulation, many times greater than that of all our rivers, that brings nutrients which feed the abundant growth of phytoplankton in our waters. MacCready began his exploration of moving fluids with human-powered vehicles. 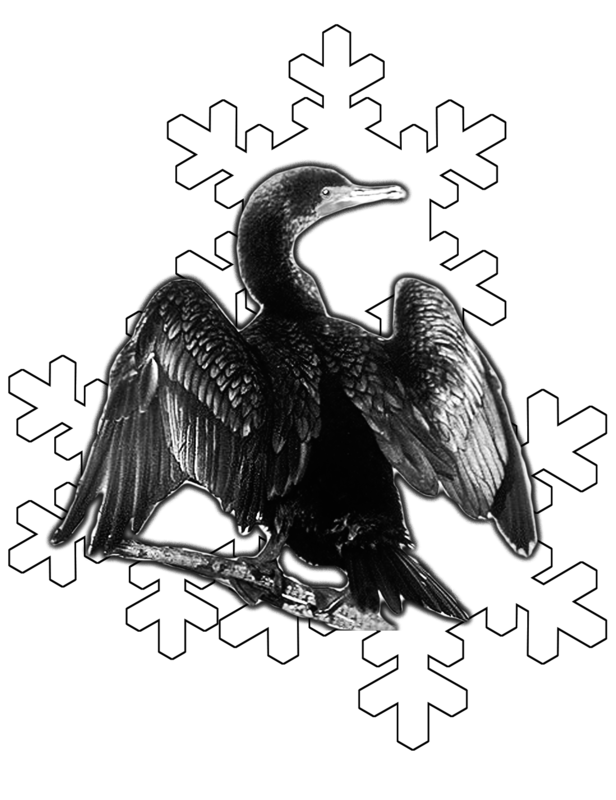 His research career was stimulated when his father, Paul MacCready, created the first human powered aircraft, the Gossamer Condor. As a teenager, Parker MacCready was one of its first cyclist/test pilots. Their second aircraft, the 70 lb. Gossamer Albatross, hangs in Boeing’s Museum of Flight, in Seattle: this was the first human powered vehicle to cross the 22-mile wide English Channel, on June 12, 1979. At California Institute of Technology, the younger MacCready built a human powered hydrofoil craft, the ‘Pogofoil’, for his Master of Science degree. 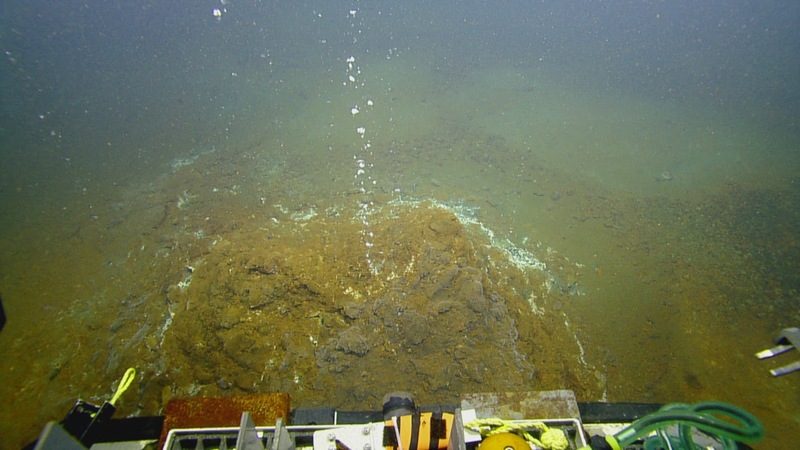 He then completed his Ph.D. research at University of Washington, producing a new theory of the circulation of the deepest layers of the ocean, which overturned traditional ideas about the way the ocean interacts with its coasts and bottom. 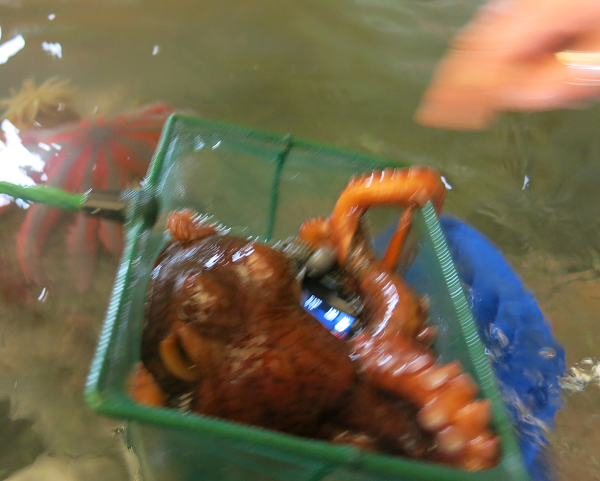 Octopus Handling 101: As fun as it might seem at the time, it's probably not the best idea to entrust a wiggly octopus with your underwater camera. 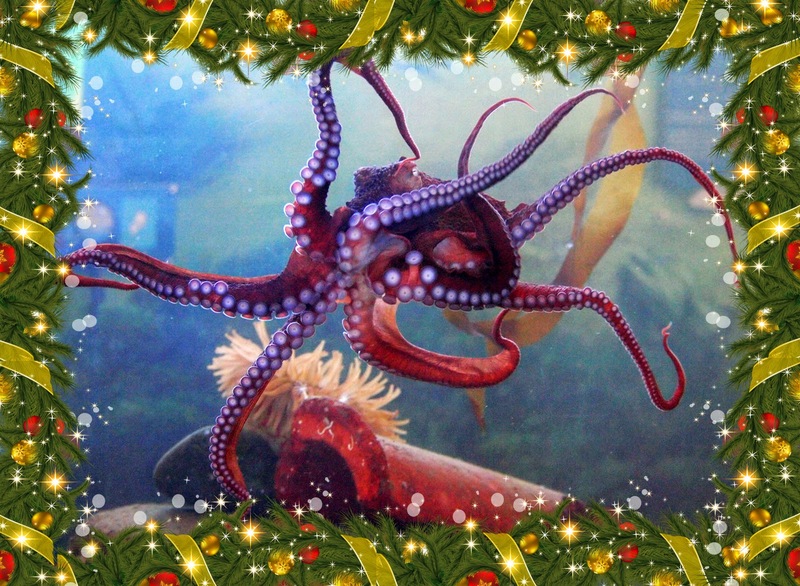 Although we thought it would be fascinating to have Inky film the inside of her tank and get her perspective on life at the Marine Science Center, it turned out that she was more interested in playing with the camera than filming with it! First we attempted to retrieve the camera with grabbers, but Inky was having far too much fun to let go just yet. We were worried she would try to open the camera to see if there was some food hidden inside! We finally managed to retrieve the camera (while still filming!) with the skillful use of several nets. We offered her a treat in return for the camera, but Inky seemed put out at losing her favorite new toy. You are invited to join three knowledgeable professionals for a free seminar on estate planning. Learn how to make an estate plan that will benefit you, your loved ones, and the organizations you support. You will learn what to include in your will, how to avoid probate, which gifts to leave to heirs and which to charitable causes to get the best tax advantages, how to receive income while making a gift during your lifetime, and other strategic giving options. An estate plan can help you provide for your family, as well as leave a lasting legacy through the non-profit organization(s) of your choice. Planned gifts offer people of all income levels a way to make a difference for future generations. Betty A. Abersold, Investment Advisory Associate, Girard Securities, Inc.
You will not be solicited in any way, nor will any particular investment products or methods be promoted. The seminar is free and open to everyone. Please call 385-5582, ext 101 with questions or to RSVP. 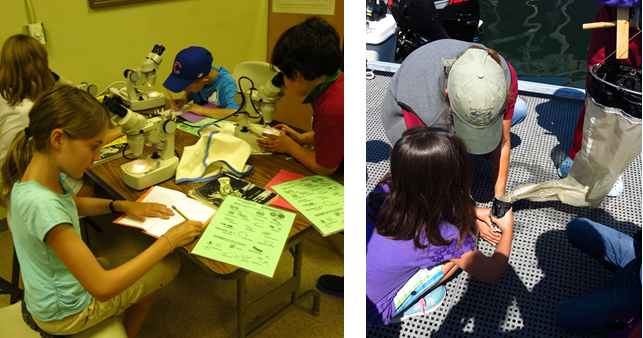 Marine Biology camp started off this year with two fun activities- campers printed their t-shirts using an actual fish, and out on the dock we collected plankton samples to look at in the lab under a microscope. We ended the day with a scavenger hunt on the beach, where campers looked for signs of animal and plant life, as well as elusive nurdles! 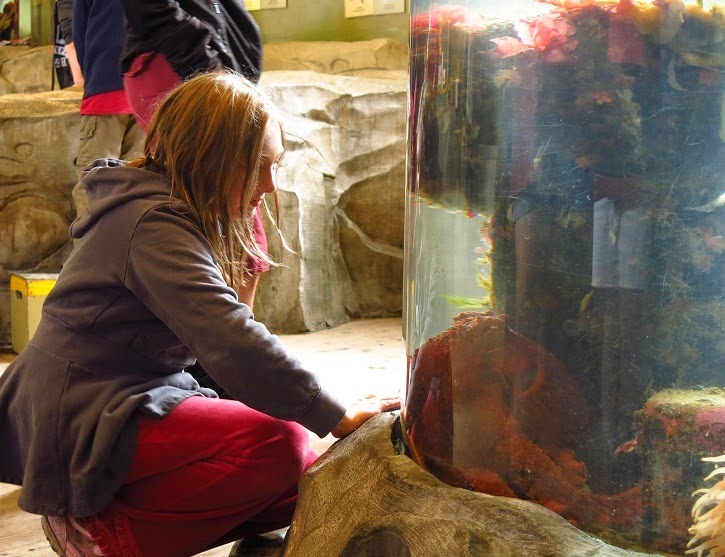 On Tuesday we started the morning in our Marine Exhibit, learning about the animals in our touch tanks- some of which we’d see later that day on the beach! 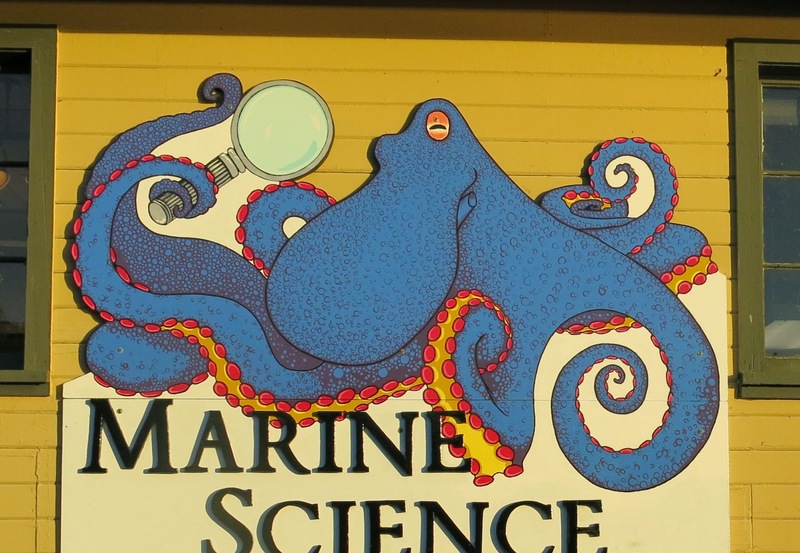 One focus was the identifying characteristics of four major marine phyla- Cnidaria, Echinodermata, Arthropoda and Mollusca! 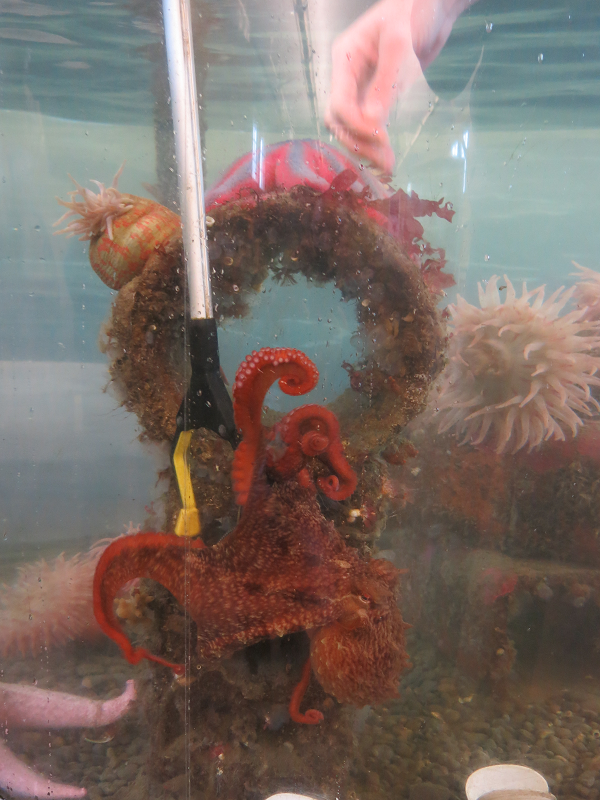 Before we headed out to the tidepools, everyone gathered together to feed Maddie the Giant Pacific Octopus. More than one camper shouted “release the kraken” when we gave Maddie a couple herring on a toy boat which she gleefully capsized for our entertainment. After hunting for animals in the tidepools, we took a walk down the beach collecting trash as we went. Everyone got very eager to find some garbage when they heard there would be a prize! 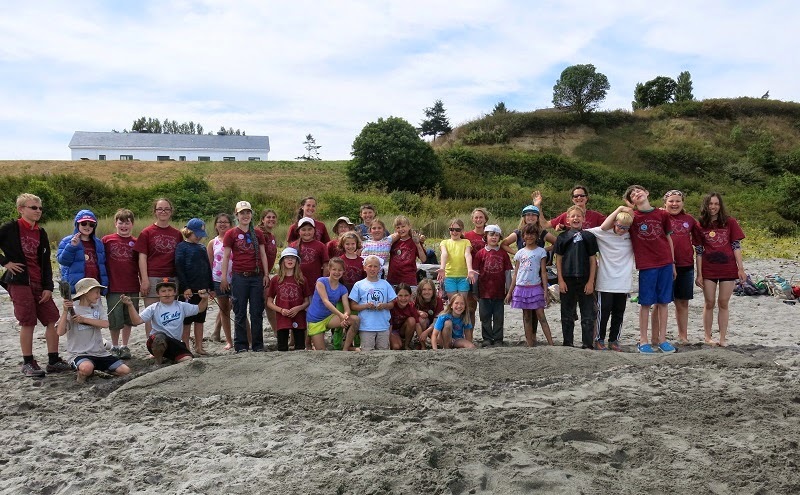 We left the Marine Science Center on Wednesday for a field trip to some nearby mudflats, where campers rotated between digging up clams, sieving for worms, netting fish, and illustrating the animals they’d seen so far in their journals. One group dug up 92 clams! 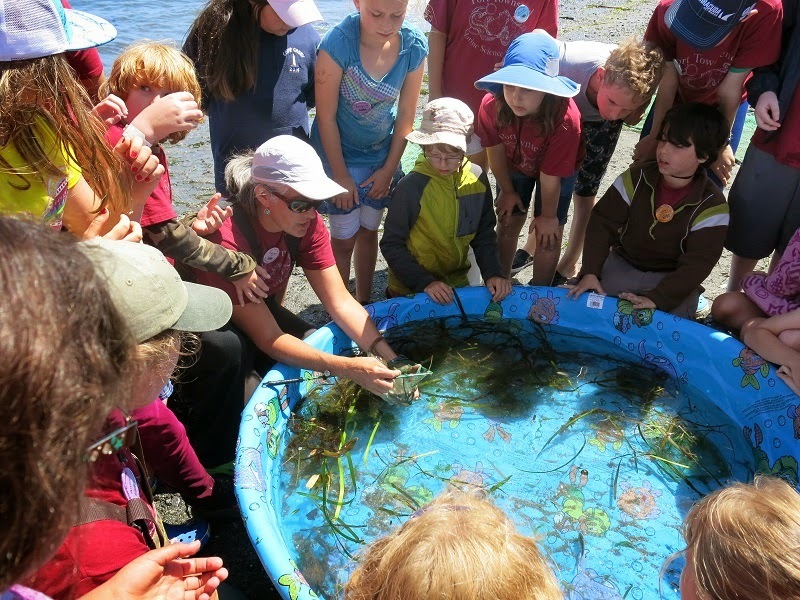 On Thursday our campers got to participate in a model of a marine food chain with plankton, herring, salmon, harbor seals and orcas. Of course, everyone wanted to be an orca! This set up our class on biomagnification, and we all learned that life at the top isn’t always so great when there are toxics in the water accumulating up the food chain. The highlight of the day was using a 150-foot seine net to catch and examine animals living in an eelgrass bed just off shore. Everyone worked together to haul the net on to the beach. 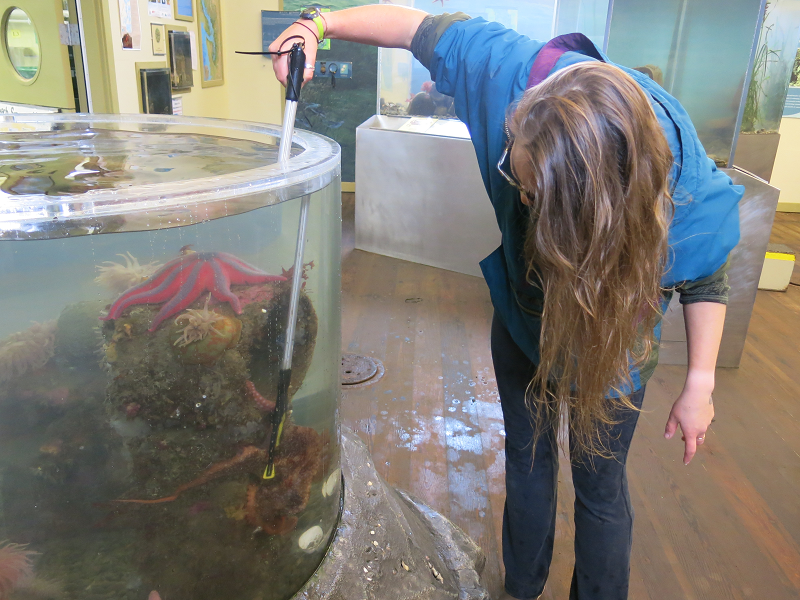 We collected the animals into a pool and examined juvenile salmon, fried-egg jellyfish, silverspot sculpins, and many more! All of the fish were then released back into the water. On our last day together our campers got a chance to take an up-close look inside a fish during the herring dissection- although not everyone wanted to get that close! We learned how a herring’s organ systems work together to help the herring survive. 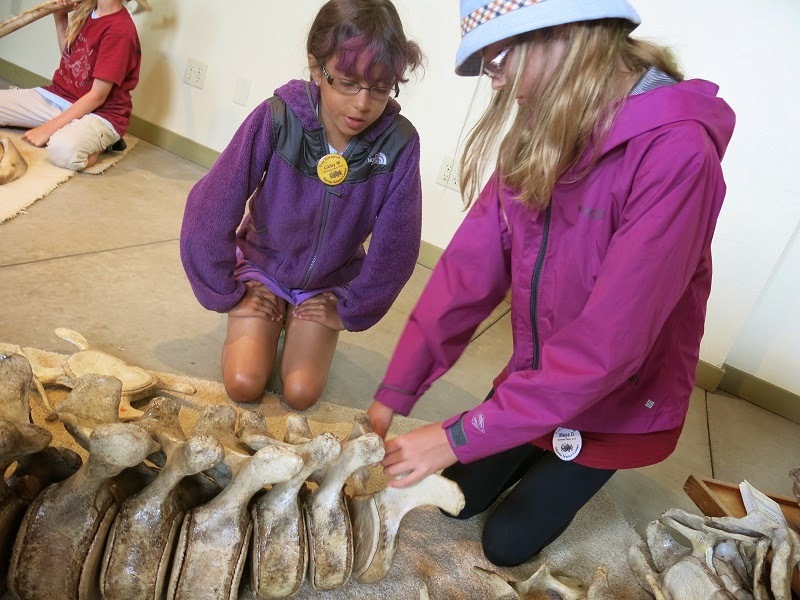 We also worked as a team to reassemble the skeleton of a juvenile gray whale, comparing his bones to our own. For our final activity together, everyone got to vote and pick a whale for our life-size sand sculpture on the beach! The winner was a 16 foot beluga whale, and our campers worked together to build it with buckets of wet sand. It was a great way to conclude the camp, and an example of how everyone worked together all week to help make camp fun and interesting! A big thank-you to all our wonderful campers for a great week, we hope to see you next year! 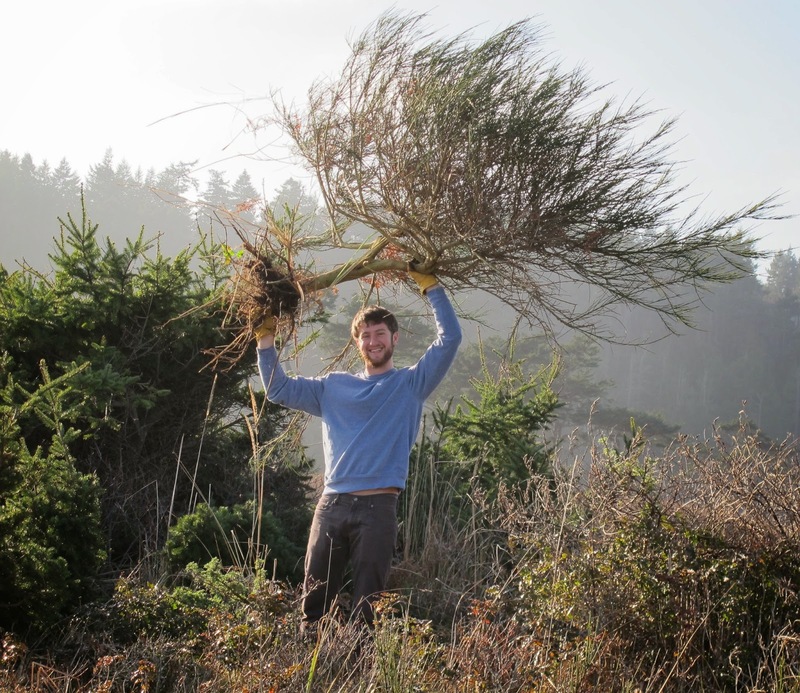 No comments: Links to this post Labels: citizen science, collective action, Gone Green? Go Blue! Join Puget Sound Express for an exciting 3 day cruise through the San Juan Islands in Washington State. Selected by National Geographic as one of the World's Top 3 destinations, the waters around the San Juan Islands are home to orcas (killer whales), minke whales, gray whales, stellar sea lions, porpoise, otters, and a dizzying array of seabirds. 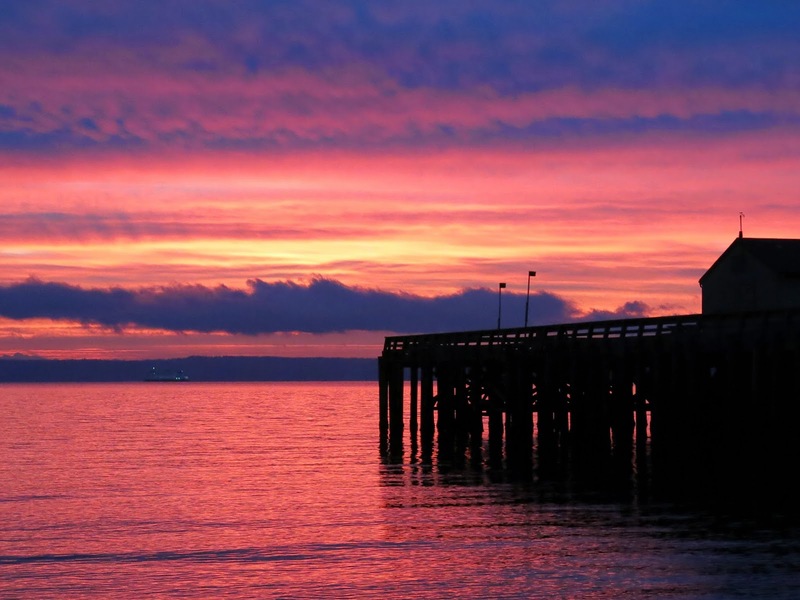 We'll leave Port Townsend at 10AM on September 28 aboard the comfortable MV Glacier Spirit. While crossing the Strait of Juan de Fuca a light breakfast will be served. The Strait of Juan de Fuca is bordered by three mountain ranges, the Olympic Peninsula and the San Juan Islands. It is one of the most beautiful seas to cross in the world. 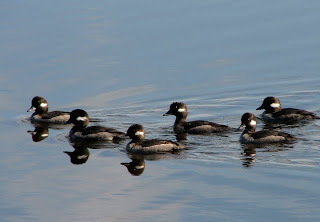 Along the way our captain will point out many seabirds and mammals that frequent these waters. 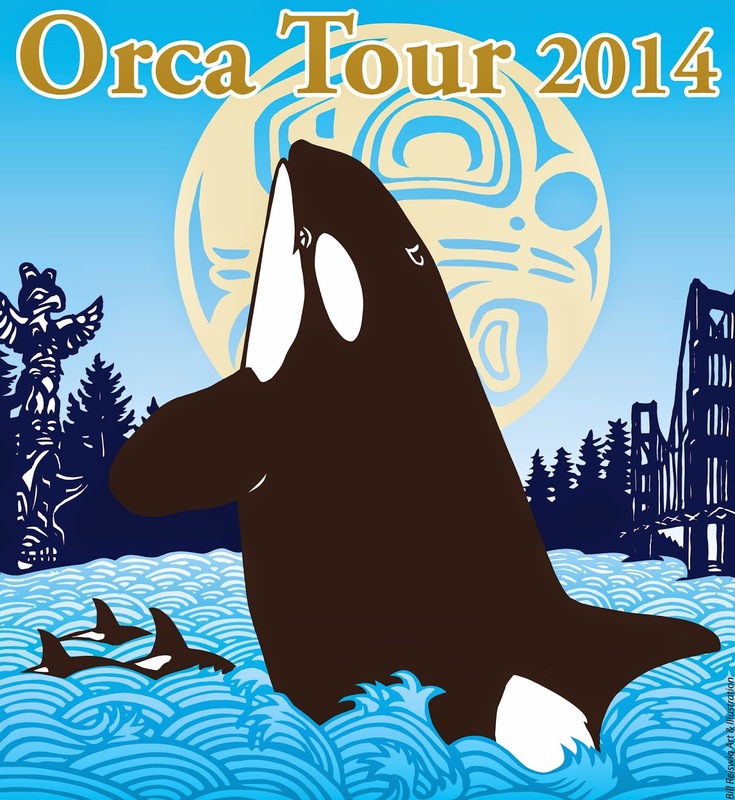 Depending on where the orcas are traveling that day, we may also be fortunate to see them in transit. After lunch onboard the boat, we'll reach our home base for the next couple of days - Roche Harbor Resort, on San Juan Island. The story of Roche Harbor began more than 200 years ago, in 1787, when Captain de Haro and his crew became the first Europeans to actually sail among the forested San Juan Islands. In 1886, a sleepy Hudson Bay camp was transformed into a full-fledged lime works and company town. Today because of its beauty and location to Canada, Roche Harbor is the most popular boating resort in the Pacific Northwest and the Resort is renowned as the centerpiece of this harbor. You'll have plenty of time to explore the scenery around Roche Harbor. Hiking, kayak and bike rentals, tennis and swimming are all possibilities for you to enjoy. Dinner is on your own at Roche Harbor Resort. On September 29 we'll board the Glacier Spirit at 9:30 for a wonderful day of sightseeing and hiking through the San Juan Islands. A light breakfast will be served aboard while we journey to famous Sucia Island State Park for 2 hours of hiking. Sucia Island State Park is a 564-acre marine park with 77,700 feet of shoreline. It is considered the crown jewel of the state's marine park system and is consistently ranked as one of the top boating destinations in the world. The shoreline is famous for its evocative, highly eroded sandstone formations - with cliffs, hoodoos, arches, and caves. Sucia Island is also a tremendous viewing area for seals, porpoise, eagles, seabirds, and whales. Upon arrival at Sucia, a sack lunch is provided for you as you explore the island for the next two hours. We'll return to Roche Harbor at 4:30 where you can enjoy the late afternoon and dinner on your own. On September 30, we begin our return loop back to Port Townsend. We'll say goodbye to Roche Harbor at 9AM. While enjoying a light breakfast, we will head on a new course through the islands, south through the Swinomish Slough and on through Deception Pass. Wildlife should be plentiful and the scenery simply stunning. After taking in the historic La Conner waterfront and the nearby tidelands, soaking in the views and the endless variety of shorebirds, we will journey through the wild tide currents of Deception Pass. 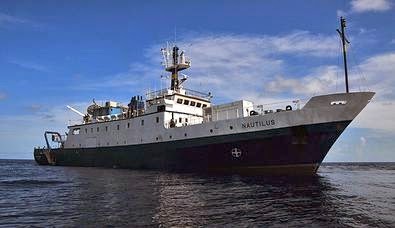 Back out on Strait of Juan de Fuca we will head south past Smith Island Marine Sanctuary - an island in the middle of the sea that is home to thousands of seabirds and mammals. Weather permitting, we expect to arrive in Port Townsend at 3PM. Hunched over jagged rocks slick with seaweed on a jetty at low tide, John Conley spots a purple starfish, or sea star, in a crevice and proceeds to measure its size, calling out his observations to Shannon Phillips, who stands nearby, noting them on her clipboard. Conley, a Port Townsend Marine Science Center (PTMSC) volunteer, uses yellow chalk to mark the rock just above the ochre star and moves on to the next as fellow volunteers do the same, scouring two 390-square-foot plots at Indian Island County Park. “There is clearly disease here,” said Melissa Miner, a Bellingham resident who has worked for the past 20 years as a research associate with the University of California at Santa Cruz’s Multi-Agency Rocky Intertidal Network (MARINe), a consortium of research groups collecting comparable data from more than 200 monitoring sites from Southeast Alaska to Mexico. Read the rest of this article on the PT Leader webpage. Did somebody say seal pups? We received our first seal pup call of the season a few days ago, and several more since. Around here, harbor seals usually have their pups between June and August, but sometimes procrastinate into October. Now that the season has officially kicked off, it's time for a few friendly reminders of what to do (and what not to do) when you see a seal pup. Seal pups need time to rest. A mother harbor seal will leave her pup on the beach to sleep and warm up. Meanwhile, mama seal is out foraging nearby, trying to fill up so she can give her pup the nutrients he needs. The young pup needs this time to sleep, and won't get it if we oooo and ahhh and pace back and forth. Similarly, the mother needs time to eat, but won't get it if she's worried that we're endangering her pup. Mother seals are very wary of people and won't come to get the pup until everybody clears the area (often, this is after dark). This is why we ask people to stay back 100 yards and require pups to be monitored for 24-48 hours before any action is taken. A pup's best chance of survival is with its mother. You should never pick up or move a seal pup. The mother will be looking for him where she left him. The pup may move around a bit as the tide comes in or goes out, but they'll be able to reunite by calling to each other. Just like we can find our family member in a crowd by the sound of their voice, seals can do the same. In some cases, it is necessary to relocate a seal pup, but this is a careful decision made by our Principal Investigator in communication with the Regional Coordinator at the National Oceanic and Atmospheric Administration, and carried out by trained responders. Sometimes we see a seal pup that is very thin. Even then, you should not feed it. Young pups nurse on their mother's milk and cannot digest solid food. Older pups and yearlings are able to hunt for themselves. Are you curious why you shouldn't count a seal pup's breaths? The reason for this one has nothing to do with the seal's well-being and everything to do with your own. We often get panicked reports from people who are concerned a seal pup is dying because it's 'barely breathing' or 'taking shaky breaths'. It can be very stressful for the person watching. However, seals are conscious breathers (whereas we are voluntary). This means that they have to think about every breath they take, and it's not as often or smooth as we breathe. In a nutshell, this is perfectly normal seal behavior, and it's perfectly normal for it to freak us out until we know better. Conscious breathing makes sense, though, when you consider that these are marine mammals that spend a good chunk of their life underwater. If the reasons above aren't enough to leave the seal pup be, I should also mention that it's illegal to harass a marine mammal. Harassment includes touching, feeding, or disturbing the animal. Tell other people why they shouldn't cuddle, move, or feed a seal pup, or count its shaky breaths. Help keep people and dogs a safe distance away. Federal guidelines recommend 100 yards back to keep from disturbing the animal. Leash your pup. Dogs are often much better at spotting seal pups than people, and sometimes harass the animal, or worse. The very saddest call I've responded to involved a seal pup who had been attacked by off-leash dogs. Call us, we're here to help! We rely on reports from concerned citizens. Put this number in your phone. Someday you may be very glad you did. A whale, dolphin, or porpoise is out of water. Please call us IMMEDIATELY. 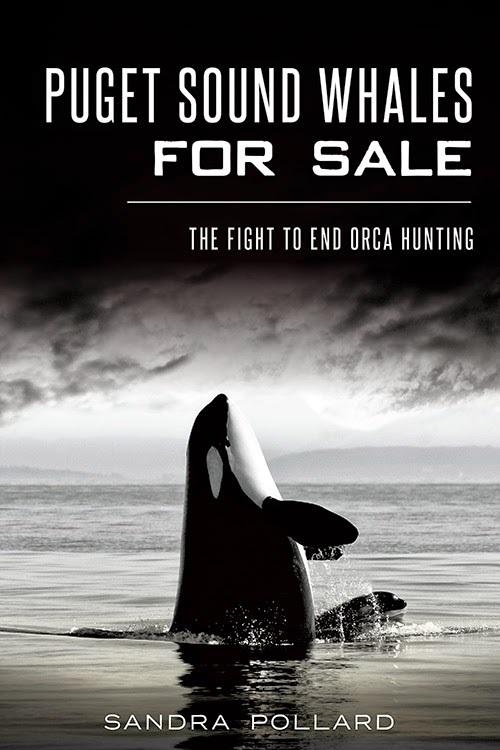 You find a marine mammal that is dead, injured, or in a bad place. Photos are extremely helpful. 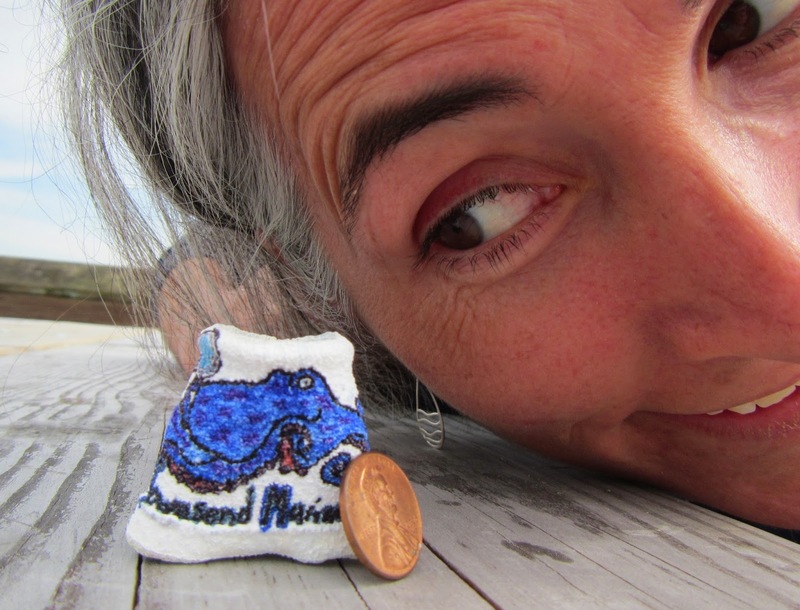 You find a marine mammal and aren't sure what to do.